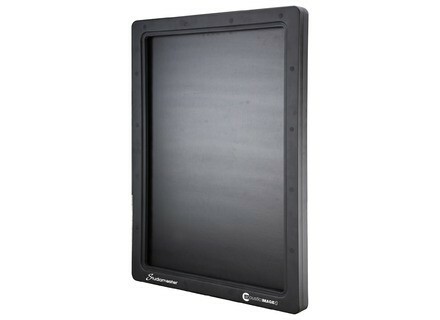 Acoustic Image6, 100v PA Speaker from Studiomaster. The Acoustic Image4 and Acoustic Image6 (passive) and Acoustic Image4A and Acoustic Image6A (active) exploit NXT technology developments. 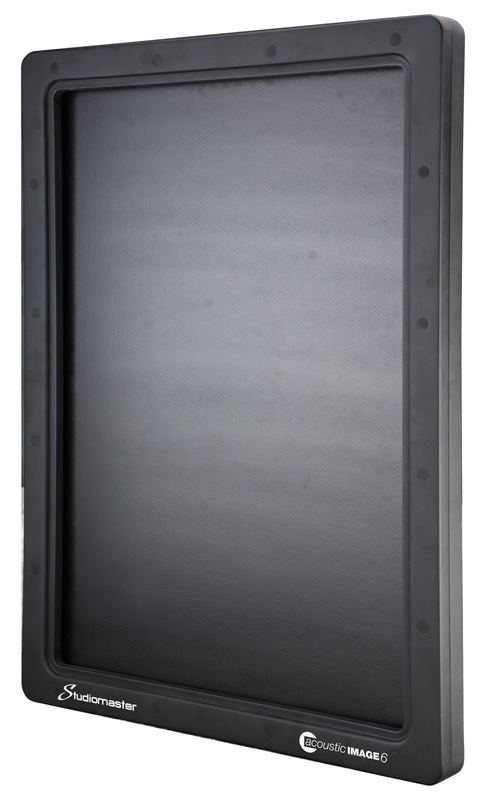 The Acoustic Image 4 and Acoustic Image 6 enclosures provide up to 114 dB and 116 dB SPL, respectively, measuring 555 x 402x 80 mm and 555 x 755 x 80 mm. Small mathematically positioned exciters generate bending waves across the entire surface of a stiff panel membrane producing the Distributed Mode response. In the active versions, 100 watt amplification provides an integrated reinforcement solution. Phono, XLR and 3.5 mm jack input connections are included. All models can be wall mounted, via two M6 fixing holes, or pole mounted for free standing applications. Removable vinyl overlays allow the display of various images, design or commercial information on the front of the panels. [NAMM] Studiomaster TRX PA Series Studiomaster is refreshing itsPA product line up with the new TRX Series, which supersedes the LX Series. [NAMM] Alto Truesonic Wireless Speakers Alto Professional announces two new powered, wireless loudspeakers: Truesonic Wireless TS112W and TS115W. Ion Audio Road Rocker Ion Audio introduces Road Rocker, a speaker system for iOS devices, microphones, instruments and other Bluetooth music players.